Communicating a game idea is difficult, especially before play testing. Perhaps my intro did not help explain the concept of the 4x larp. There are tons of details that need ironing out. It might be helpful to walk through a 4x combat larp event, as I envision it at the moment. First we’ll need to mention Event Write ups. If you’re an event holder and are not familiar with an Event Write Up Template, then you’re missing a huge tool in the development of an event. Find a Simple Event Template here. Being able to communicate your event concept to another person forces you to clarify parts you’ve missed, refine the idea, and troubleshoot how the event is going to go. Figure out who among your larping friends, gives the most brutal feedback and have them read your Event Write up. This guy gives the best feedback. So here is the Event Write up for an Example 4x larp. Assume 8 am for most events. Event Holders and Marshall’s arrive at event site. Set up major locations (oceans, forts, etc). Houses report their locations, and actions. Event Holder determines rounds (some of this should have been done pre event), makes alterations to the schedule as needed. Set up first round. Summer Brooke attacking a location. Set up second round. Byley Keep Exploration. Set up third round. Aldlake Pavilion Attacking a location. Set up fourth round. NPC House attacks a location. Other combats as needed or desired. But probably not because everything is going to run long. EH writes closing to recap events, and mention possible outcomes. EH gives closing recap of the event. Everyone breaks down event site. Why are there no times for the combats? Well… mostly it’s because I don’t know how long things will actually take. 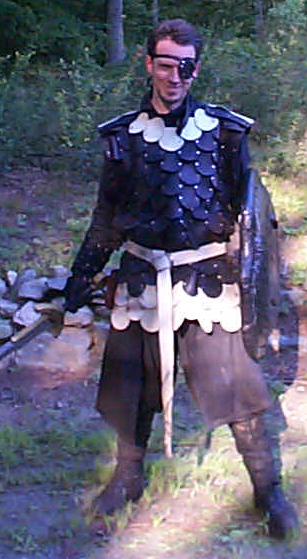 And partly because Larp is best when getting away from a set schedule and a daily grind. It’s really tempting to block 15 min setup, 30 minute game, 15 min take down. Each combat is played in about an hour. Four per day. But before testing and for fun, I really don’t know and don’t want to fix how long things should take. To remove watches, phones, machines, timing, from the Marshal and the players makes a better larp. Also being flexible with the time frame means that one combat can go very quickly, and another may take longer, and that’s ok. There is probably a timing pattern that works best, but we’ll find that through experience rather than me guessing. So there is a rough idea of a 4x larp played over a day. There are some (possibly many) decision points which require thought and creative decisions. Despite having a frame work Event Holders are still going to need to make choices on the fly, and with a lot of perpetration. Folks who enjoy improvisation are going to enjoy this format. People who like tons of planning and prep might get tripped up by what the players do. But that’s no different than any other larp really. Does that make sense? Does that seem like a format worth trying? What do you think? Send me a tweet. Or leave a comment with Google Plus. Come join our practice and help build this thing.